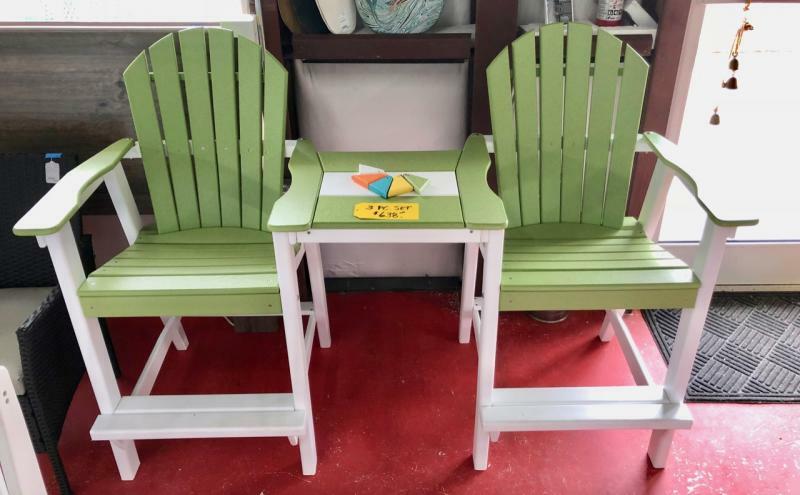 InfinityWood, made Exclusively by Upscale Furniture Resales, is a “Green” environmentally-friendly product made using Recycled High Density Polyethylene (ReHDPE) plastic formed into "Plastic Lumber". 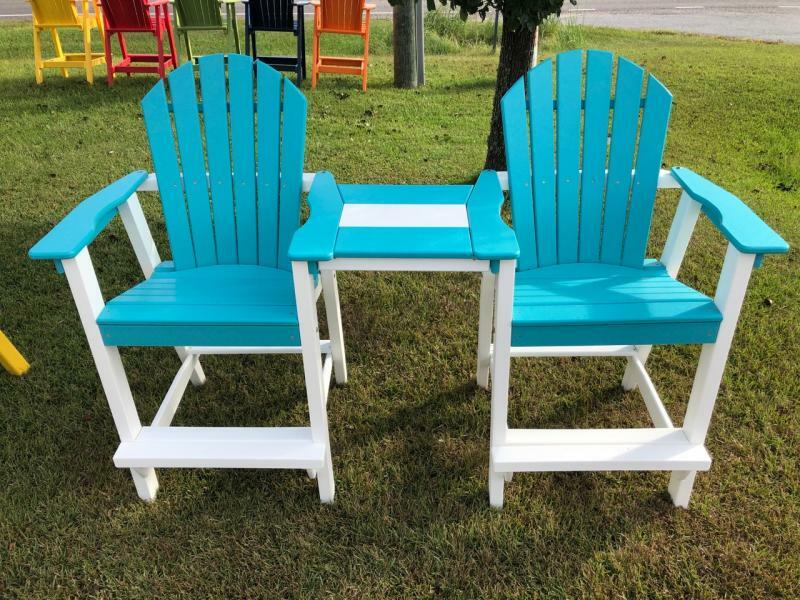 Our raw material, common HDPE (recycling code # 2) products are plastic milk, water and juice containers, as well as some detergent and shampoo bottles which are recycled and reformed into our locally made outdoor furniture. 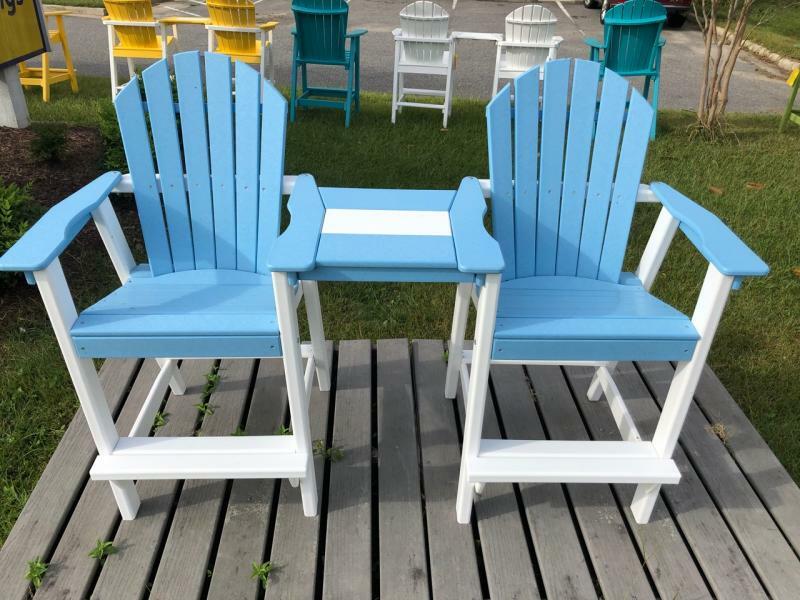 Our InfinityWood chairs & tables are impervious to the weather & will last a lifetime. We only use high quality materials such as marine grade stainless steel hardware. 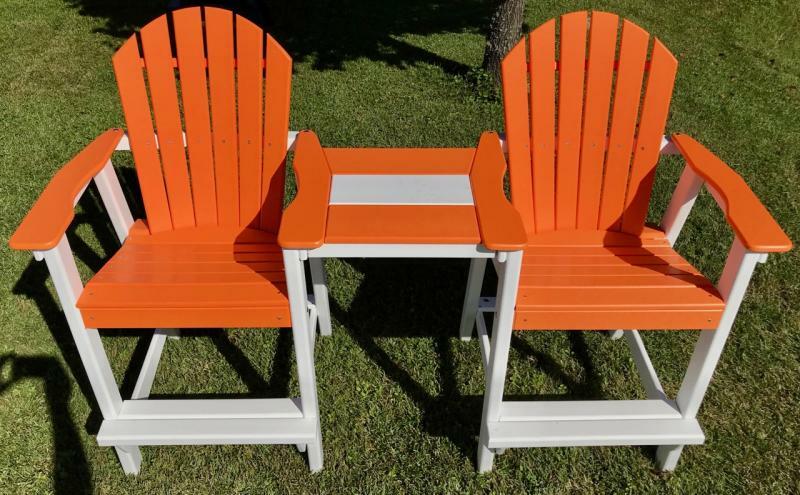 We back our InfinityWood outdoor furniture with a limited 20 year Warranty! These pieces are made here in the Outer Banks by local retirees! 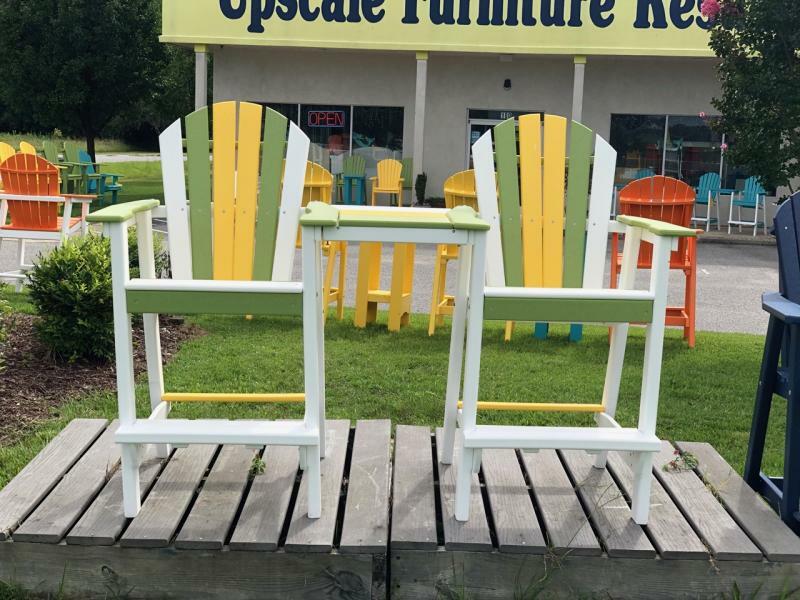 Perfect for the weather of the Outer Banks, our InfinityWood furniture is heavy (so they won't blow around easily like flimsy resin chairs), will not rot and are extremely low maintenance. 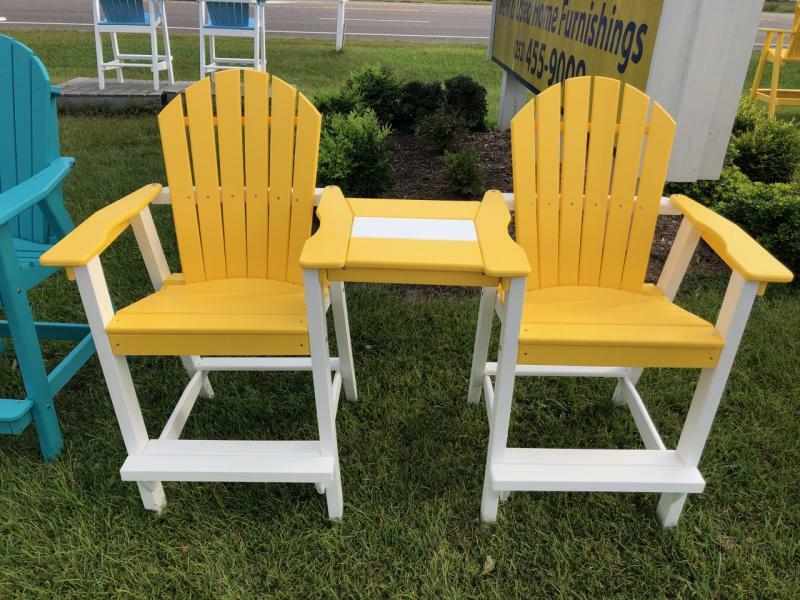 The texture of our plastic lumber is manufactured with a slight wood grain-like texture, that collects less dirt than other similar chairs with more substantial wood grain, resulting in an easy to clean surface that requires less frequent cleaning. However we recommend frequent rinsing and routine washing of the hardware to prevent surface rust. See cleaning suggestions. CURRENTLY, ALL FURNITURE IS AVAILABLE IN LIMITED INVENTORY. CALL AHEAD FOR WHAT IS IN STOCK. ALL PIECES AVAILABLE BY SPECIAL ORDER! 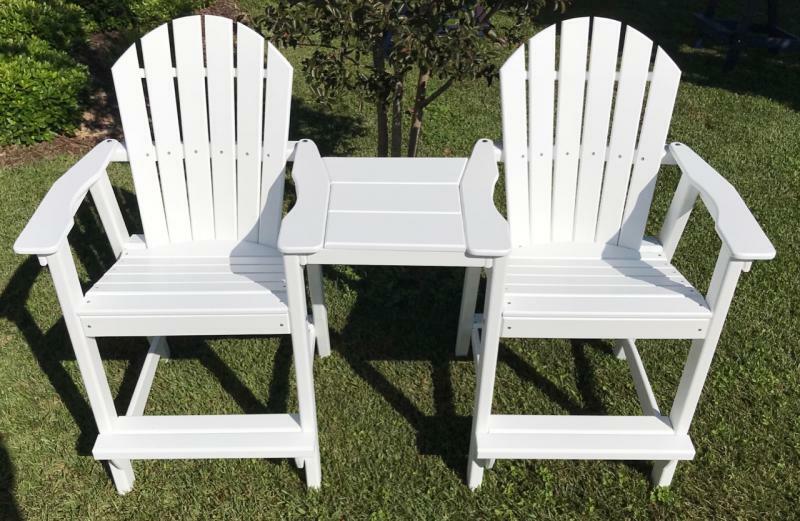 InfinityWood Bar-Height Outdoor Adirondack Chairs -- You just have to sit in these chairs to appreciate their ergonomic design producing a very comfortable chair. The bar-height is perfect for allowing unobstructed views over your deck rails that will have you enjoying your deck for hours at a time! InfinityWood Bar Height Tables -- Perfect tables for our Bar Height Chairs allowing for unobstructed views over your deck rail. 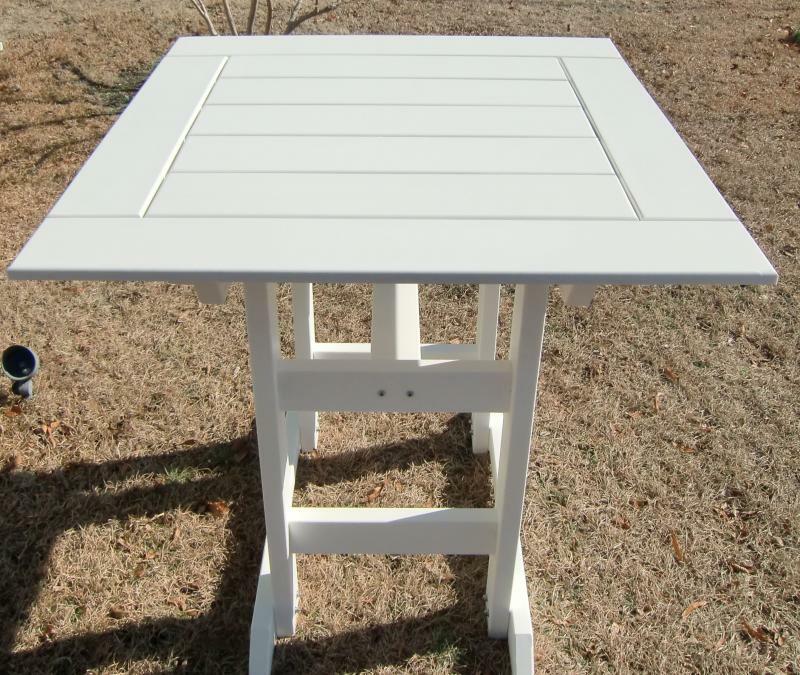 A stable design and just the right size for outdoor dining!